When the work keeps coming at a million miles an hour, deadlines in your office suddenly slip through your fingertips. Unfortunately, in today’s rocket-paced climate where expectations and demands have reached soaring heights, there’s no off-button. You can’t just run away and leave the organization to someone else. Much to the chagrin of, well, everybody. There’s no avoiding it, you must have polished, effective task management skills, particularly collaborative task management, no matter the pre-planning, volume, length, and difficulty of projects. While it may seem improbable – even impossible – there are many measures you can take to ensure the most streamlined, effective workflow strategies throughout every workplace project. Our various helpful “to-do” tips will prove invaluable as you knock each project off your list with increasingly improved efficiency. In reading on, you’ll be privy to timelessly effective traditional collaborative task management methods and state-of-the-art task management software. It’s a shortcoming of many people – even someone with great task management skills – to think they have a flawless mental checklist. Visual task management is a very effective technique for even non-visual thinkers. Plus, visual task management lists are far more stimulating than a linear “to-do” list. There are some tried and true tactics for keeping your team task management list in check. These are most effectively used in harmony with more advanced task management software—ensuring your office is a well-oiled machine from the whiteboard to the dashboard! No. We don’t mean your Facebook wall. We mean the wall in your office. This way, staring at a wall can serve a far greater purpose. Of course, it depends if your workplace allows this given it can cause damage but this method will always keep your tasks in front of you. Provided it fits the budget, a larger whiteboard will provide a more eye-catching visual but smaller whiteboards are still effective and have the added advantage of being mobile. Regardless of size, manual whiteboard neatly compartmentalizes your team task management list so that you can finally see an end. You can literally put sticky notes everywhere so your workload can be seen everywhere. Whether if it’s on your desk, whiteboard, wall, or your favorite sweatshirt! One of the most useful features of sticky notes is color-coding as a means to prioritize and categorize your long list of “to-dos”. You can also place them into columns to see each stage of a project. So, now that you understand the most classic style of visual task management lists, it’s time to double-down on efficiency with the best task management software. You almost need this technology to keep up with today’s fast-paced climate. 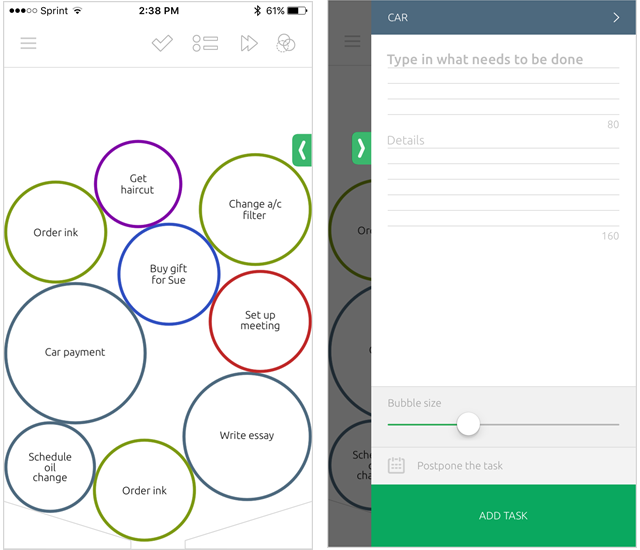 Free on Android and iOs devices alike, To Round is a handy digital task management tool that neatly formats and prioritizes your various to-dos. There are available pre-programmed categories and you can customize Home, Work, or Personal settings. Enter task information such as name and details and enter the data into a project-specific bubble. The bigger the bubble, the more pressing the task. The main screen shows all bubbles and color-codes them via category. After tapping the ‘task’ bubble once you’ve finished a project, it’ll be removed from your to-do list. You may freely rejig due dates around and have options to display current, pending and completed tasks. To Round is great team task management software that’ll make life easier for everyone in the office. Also available on iOs and Android, Trello’s quality as a visual task management tool is enforced by a Japanese visual method known as Kanban. Via visual cards and billboards, both teams and individuals benefit from utilizing Trello. A digital cork or whiteboard places tasks into ‘to-do’, ‘doing’, and ‘done’ categories, displaying your workflow visually. Organize projects with boards, lists, and cards. You can see all of your projects at a glance, aided by reminders. You may also upload documents and photos. Trello’s interface is easy to use and comes with battle-tested concepts. 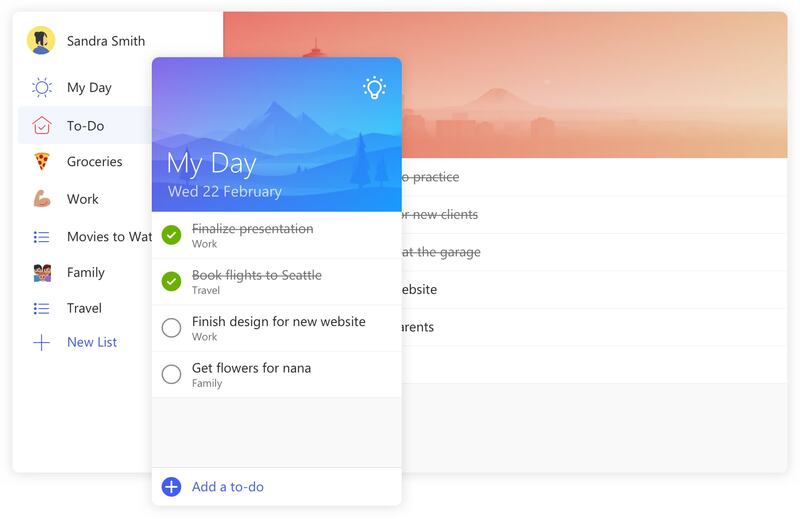 The Wunderlist and Office teams have presented an awesome task management app known as Microsoft To-Do. The software offers visual task lists and clear buttons for completed work. Adding tasks is easy; tap ‘Add a to-do’, input the task, press ‘Enter’, rinse and repeat for the rest of your project list. Niftily drag tasks into the order of importance. Sync with your mobile device and computer to access your work-list any time you’ll need it. You can adjust your ‘to-do’ list even if you’re on the move. Traditional task management techniques and software are plentiful. The choices can be overwhelming to choose from. How are you supposed to decide with so many options? Your best bet is trial and error. It may best frustrating but it’s the way to find the right methods for you. Searching for a way to better manage your work projects? Project Central is a tool that can bolster teams using Office 365. It’s an effective and simple way to manage projects and organize your team. Project Central’s has features such as activity feeds, project cards, and simplified sign-in and security. They work to elevate your team task management! Register with Project Central today. It’s free and will make your task management struggles a thing of the past!